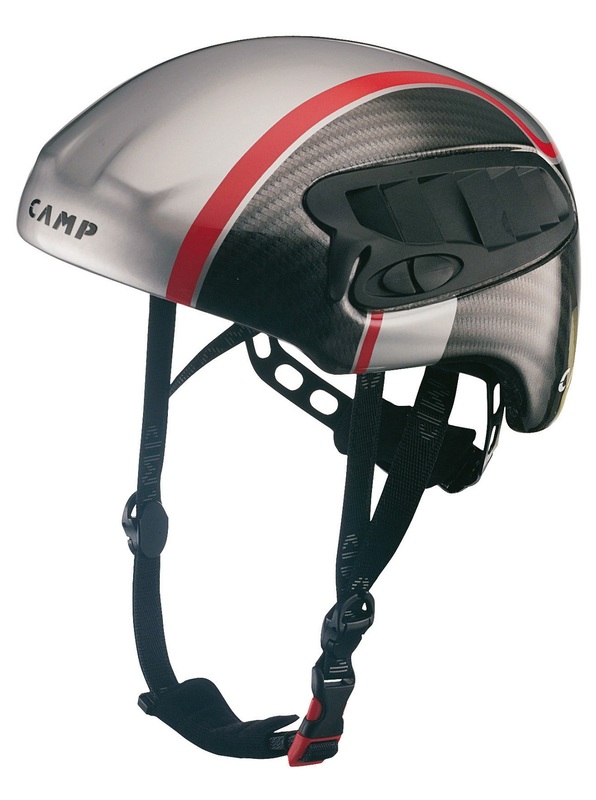 The classic Starlight Helmet by CAMP is a classic for a reason. Light, strong, comfortable, affordable, and fits in your pack. Featuring CE (European Conformity) certified in-mold construction with superior side impact protection, the Starlight became the original skimo hat. If you don't fit well in the Speed Helmet, want a bit more protection from the weather, or are just not a fan of green or orange, the Starlight might be for you. Two large side vents with plastic grills keep the weather out while allowing ample air flow. Rotating adjustment wheel in the back of the helmet grips your head comfortably and securely. Headlamp compatible by means of plastic retainers near the side vents. Comfort chin strap is adjustable so you can keep the helmet on without choking yourself. EN 12492 (CE) certified for mountaineering, with or without skis. Comes with a storage sack to help protect the shine. I have used this helmet for about 10 times but decided to sell as it didn't fit my head very well, however, I believe it fits other people you see using it very well. If you don't have a narrow head or narrower forehead then you should try it before you buy it. Otherwise, the manufacturing quality is great.